It’s rare to find food that has the ability to transport you to another place and time, that evokes childhood memories and takes you on a sensorial journey that embodies a nation’s culinary heritage in completely unexpected ways. At Gēn 根 you’ll find just that and maybe even more. 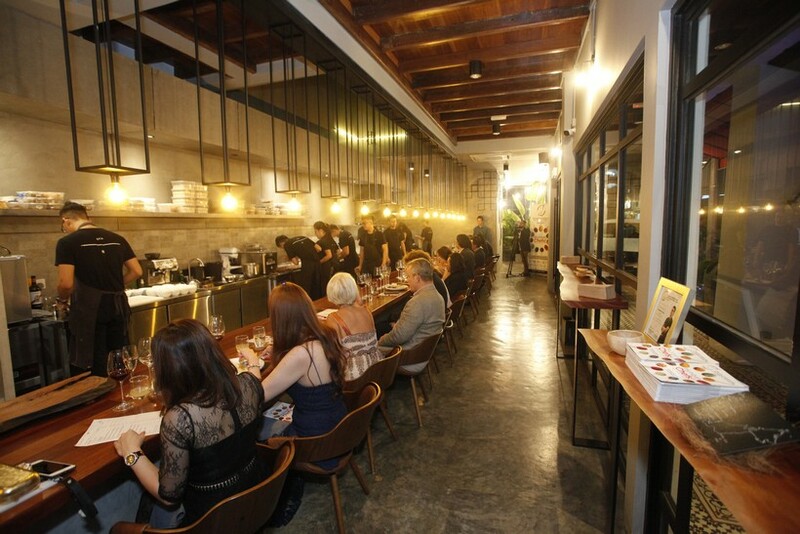 This modest little restaurant in the heart of Penang served as the location for the latest in the series of MIGF menu reviews, showing invited guests just what the cutting-edge of local cuisine looks like. 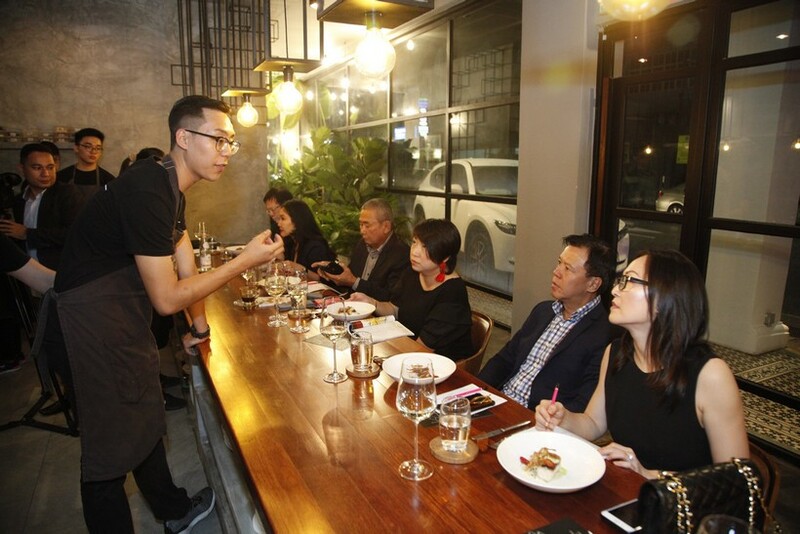 Billed as ‘Progressive Malaysian’, Gēn 根 (pronounced with a soft ‘g’ as in ‘gate’, and rhymes with ‘son’) is the brainchild of Chef Johnson Wong, a Johor-born Le Cordon Bleu graduate who spent over a decade abroad cutting his teeth at top-tier restaurants, including the two-Michelin-starred NOMA in Denmark. 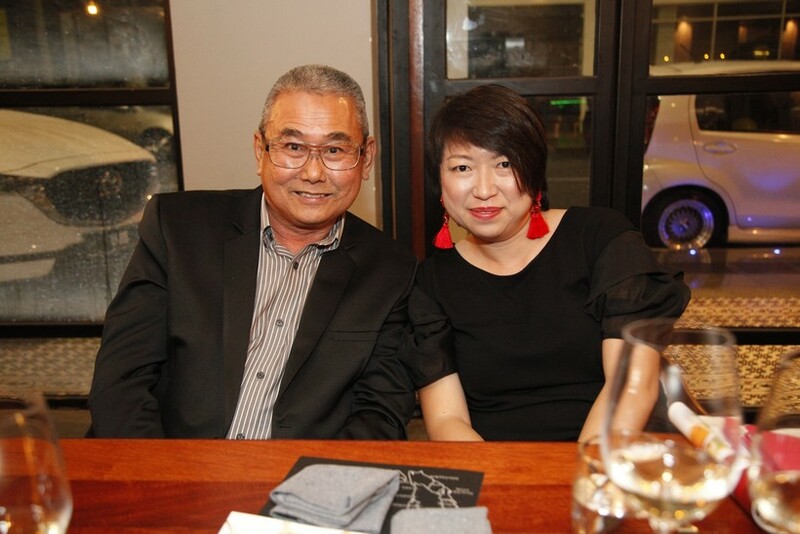 He brought the culinary techniques and skills he acquired there back to Malaysia and promptly opened his first restaurant. 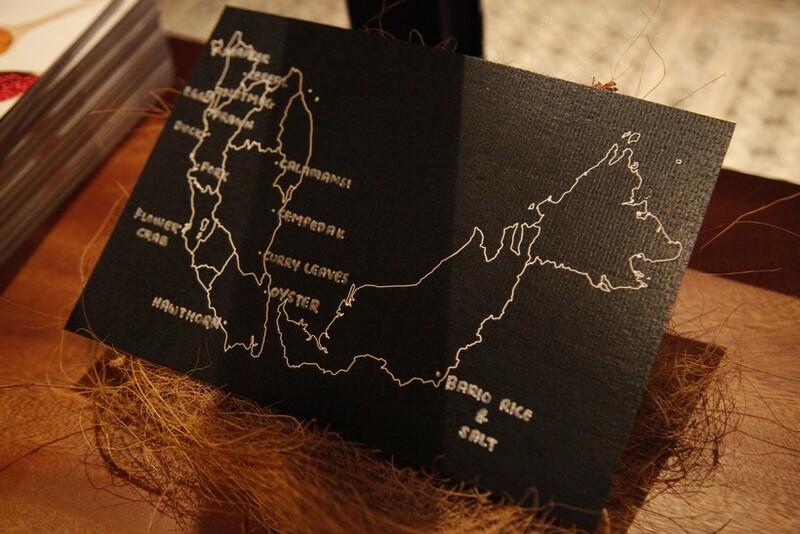 And we’re lucky he did as you’ll be hard up finding a similar eatery along the length and breadth of the country. Minimalist in design with an almost industrial vibe, the restaurant takes the open-plan kitchen to the next level with virtually no barrier separating dining area and kitchen. There’s just one long dining table that seats 24 – a one-of-a-kind ‘chef’s table’ more akin to a bar. 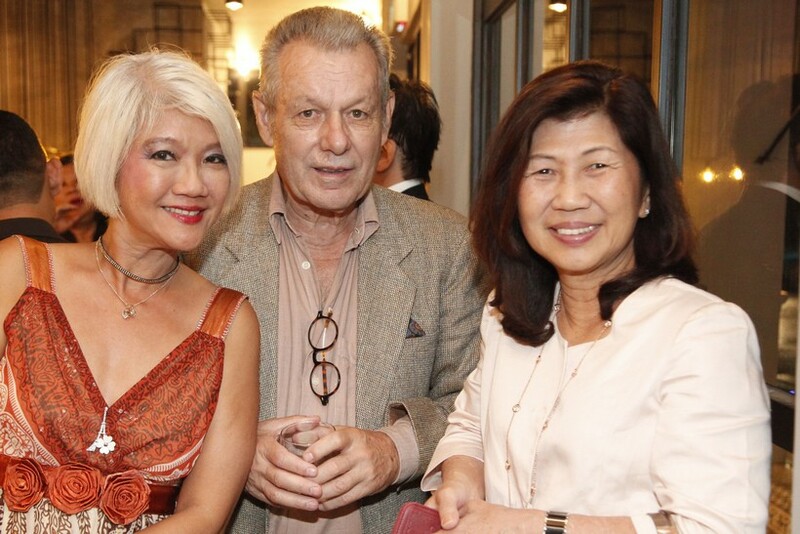 It’s to this setting that MIGF Organising Chairman Dato’ Steve Day welcomed guests on a stormy Penang evening, each of which commented on the unique interior immediately upon entering. 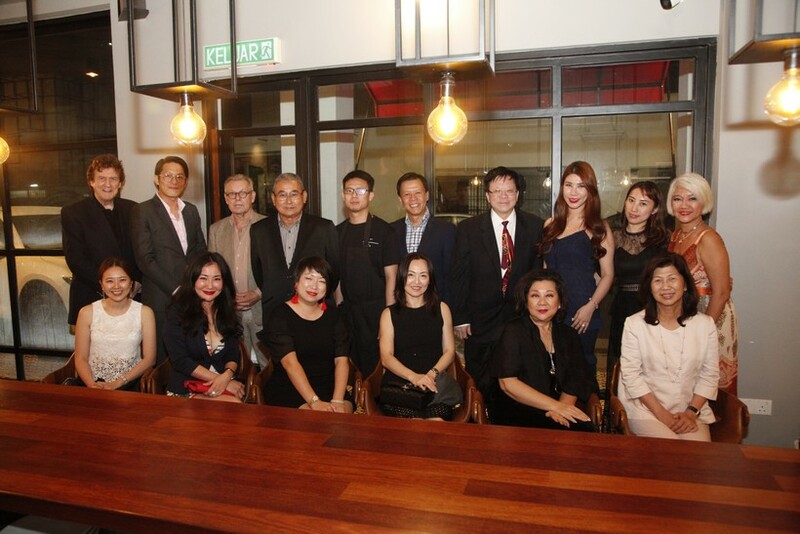 Among the guests were The Top Penang Chief Operating Officer Puan Sri Jean Koh, Local Property Developer Dato’ Choong Yew Lim, Sunway Le Cordon Bleu General Manager Ho Yew Ming, Timcare Biotech Sdn Bhd Managing Director Derek Cheong and Boulder Valley Glamping Resort Director Shirmae Khoo. 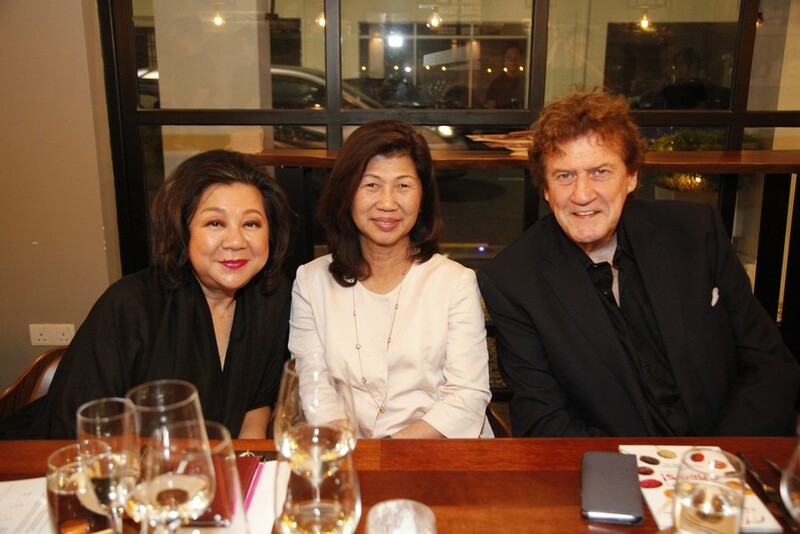 Following introductions by Dato’ Steve, the dining group was seated and ready to begin its gastronomic voyage through Malaysia, making stops at each of the 13 states to sample various ingredients. Swinging into action to push out the first course, Chef Johnson’s team works in perfect unison to put on a wonderfully choreographed show directly in front of guests. 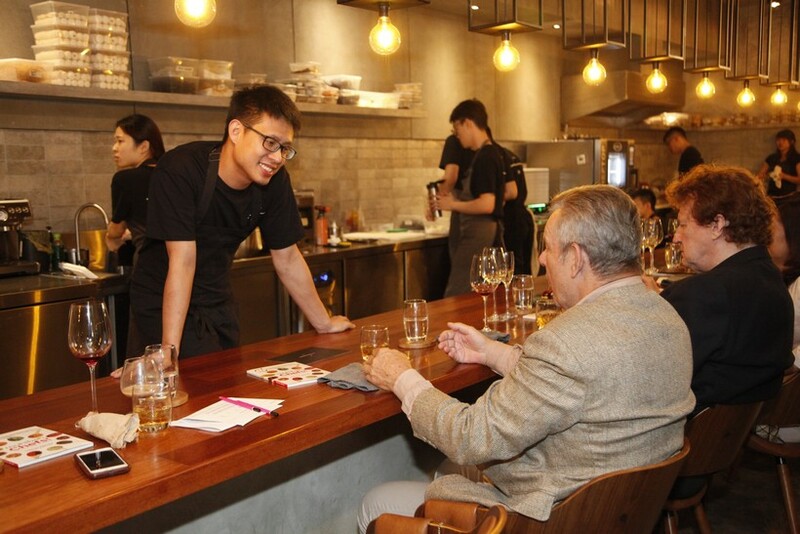 The young crew glide smoothly and silently to various kitchen stations, multitasking as both chefs and serving staff, explaining each dish as it’s served. 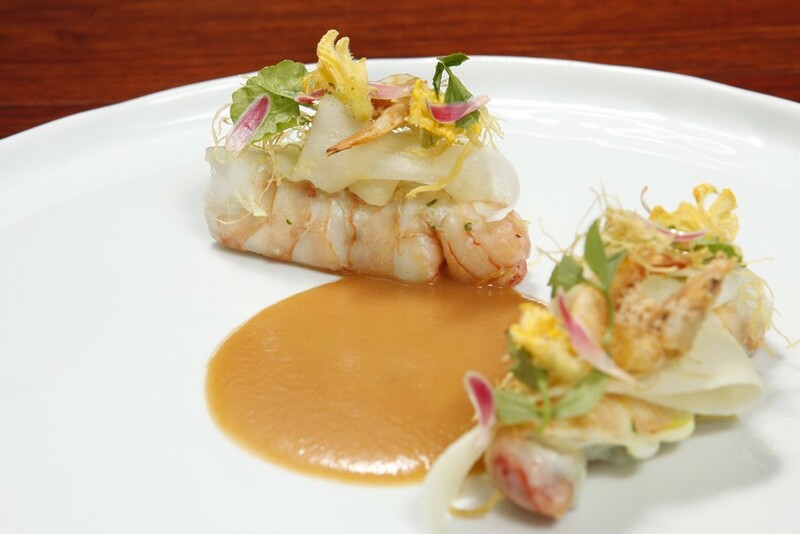 Much of Chef Johnson’s menu draws from the ocean and the first few courses that land in front of diners feature squid, flower crab and cured fish. Great care is taken in sourcing ingredients, with Chef Johnson making daily trips to the market and sometimes longer excursions to different states in order to acquire specific ingredients. No compromise is made on quality. 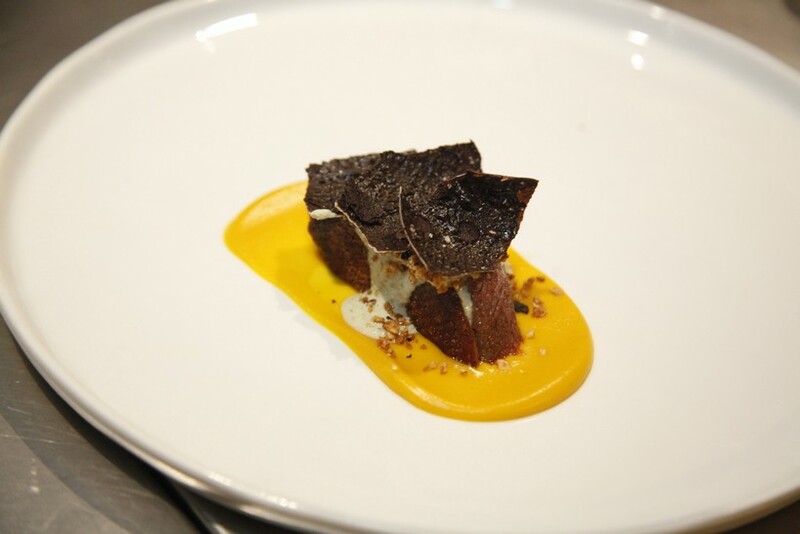 Delicate plating and complex flavours come with each dish that pops of the plate with colours, shapes and textures. 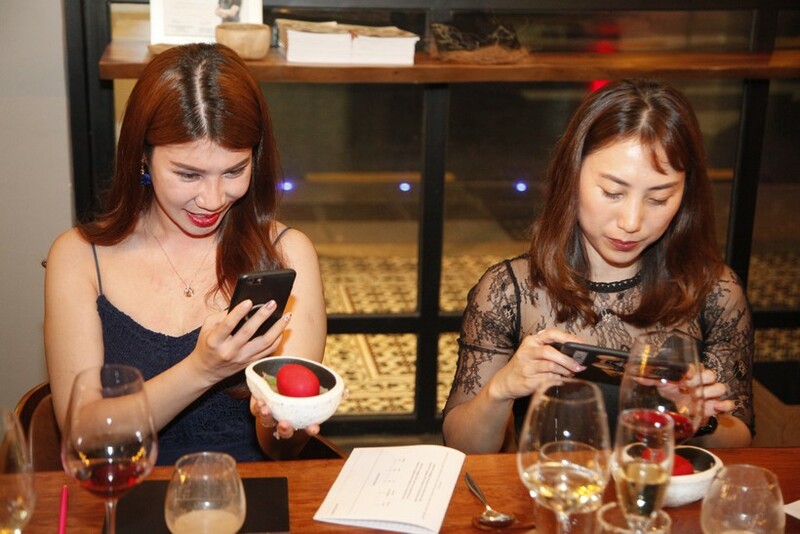 Guests can be seen snapping away and uploading each culinary work-of-art to their Instagram as the night progresses. 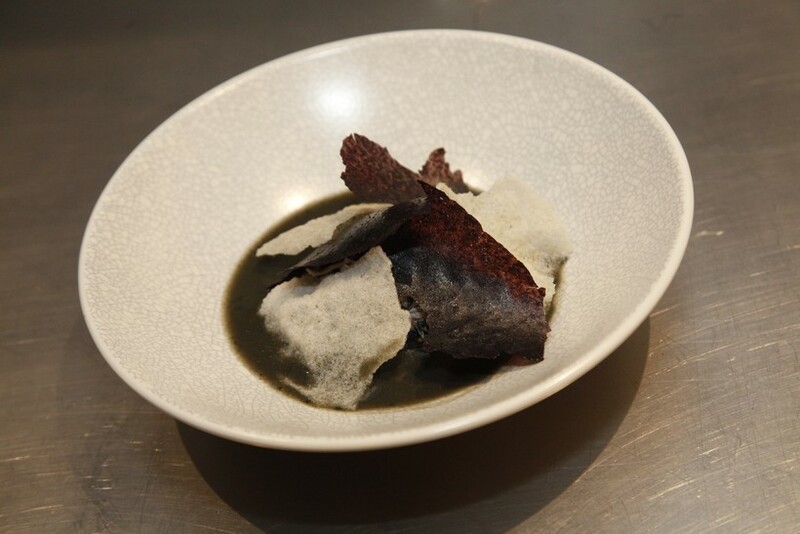 An exquisite soup utilising Ayam Cemani (black chicken), Bario rice and salt from the highlands of Miri in Sarawak, and duck liver receives high praise for its depth of flavour. 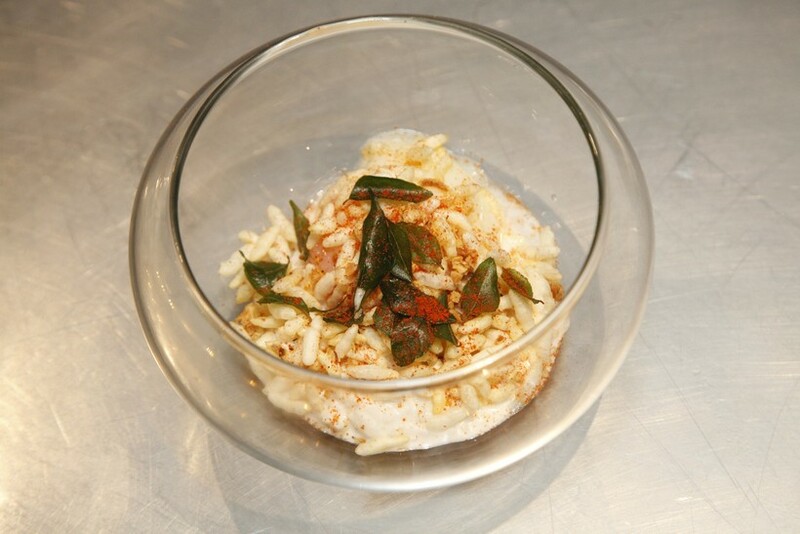 Following a palate cleanser made from hawthorn, the first of the main courses arrives in the form of locally caught tiger prawn, fermented mango, ginger, dried shrimp and chilli. 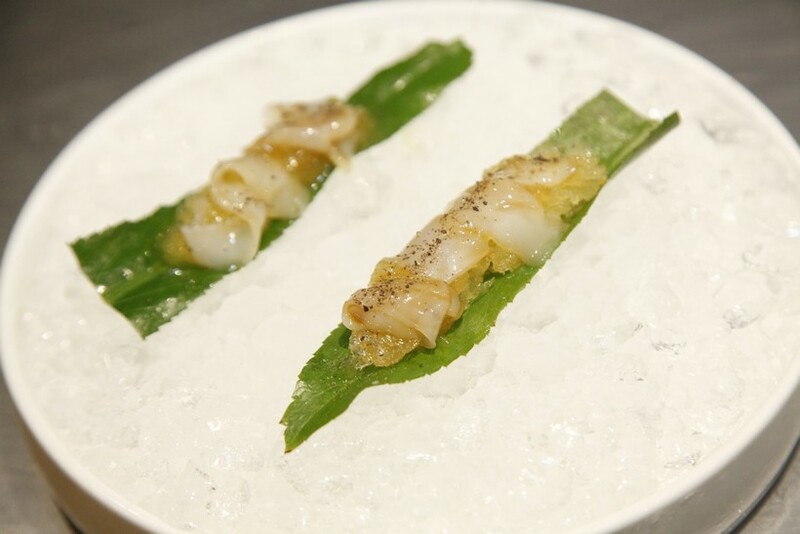 The sweet meat of the tiger prawn pairs perfectly with the tangy notes of the mango and ginger. It’s a symphony of tastes that sings in the mouth. 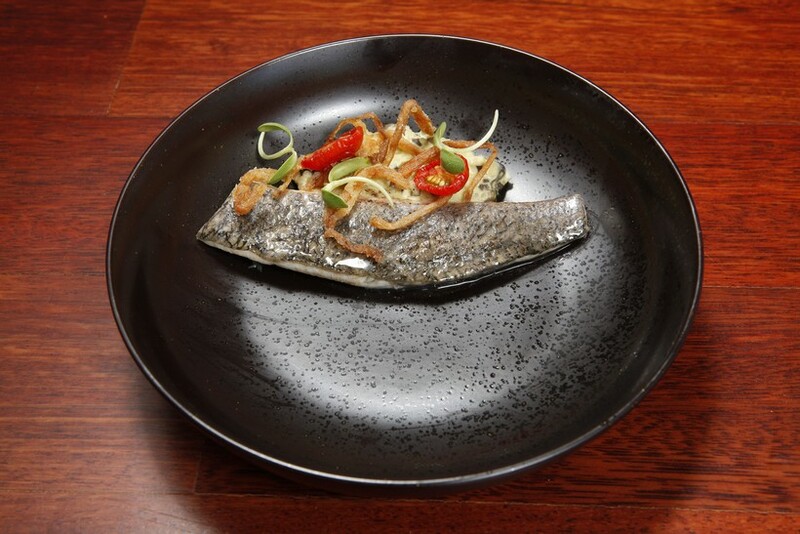 The next two dishes that materialise feature snapper caught from the northern-most tip of Malaysia, oysters from the southern state of Johor, and an array of herbs and spices from across the country. Treading back on to land, Johnson’s final main course pairs Ipoh-sourced duck with dark chocolate, mint, and green chilli for a winning combination. 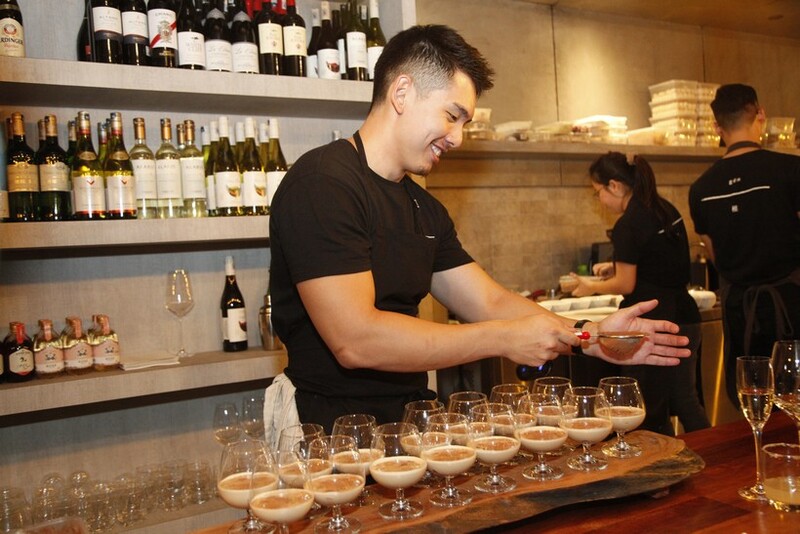 From savoury to sweet, guests were served the first dessert – a creamy creation of milo, coffee, oats and roselle leaves. 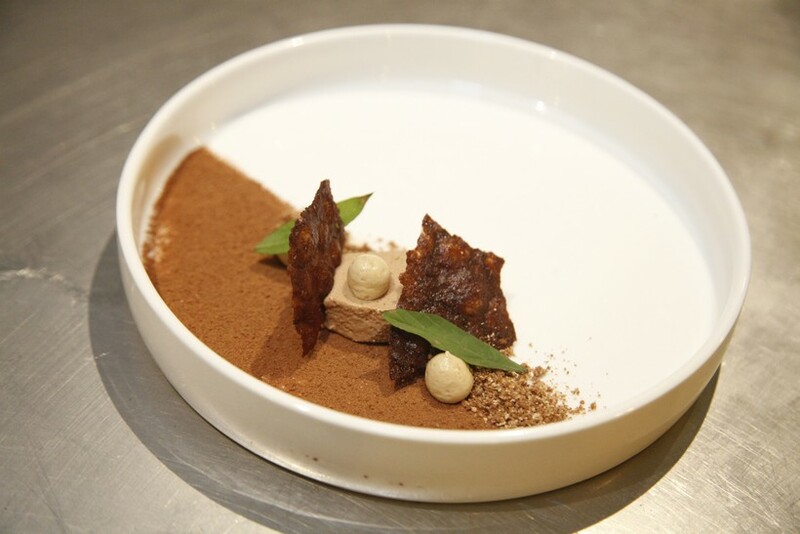 Paired with a beverage that consisted of coffee liqueur, milk, milo-ice cubes and chocolate dust, the decadent dish brought together time-honoured flavours and forward-thinking presentation. 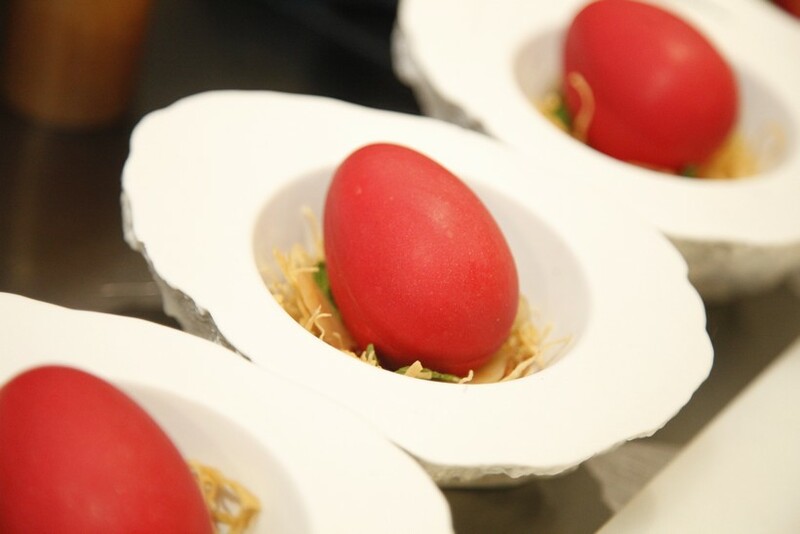 The creative red egg rounded out the menu to much ‘oohing and aahing’ from guests. A shell of white chocolate was cracked open to reveal ‘egg white’ made from nutmeg-infused panna cotta and an ‘egg yolk’ of mango. 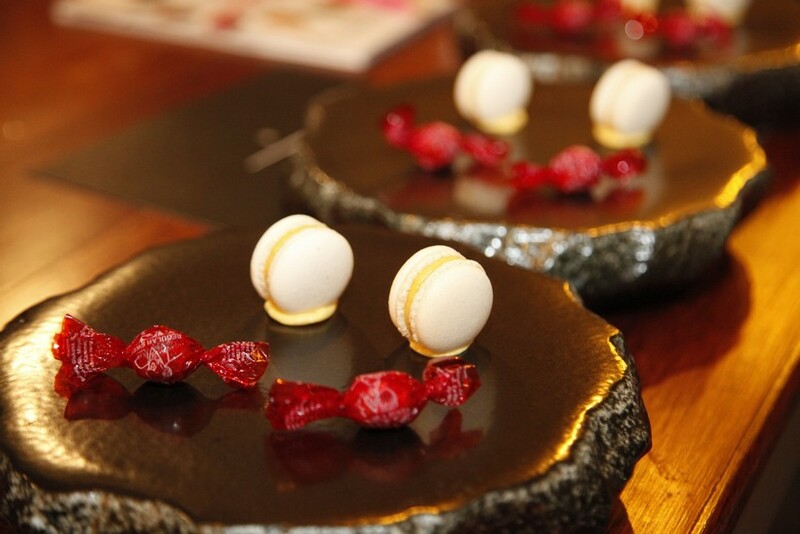 Finally, petit fours capped off the menu with more quintessentially local flavours – cempedak-filled macaroons. Digestives of brandy made their way across the table as the last of the plates were cleared away and the table wiped down. 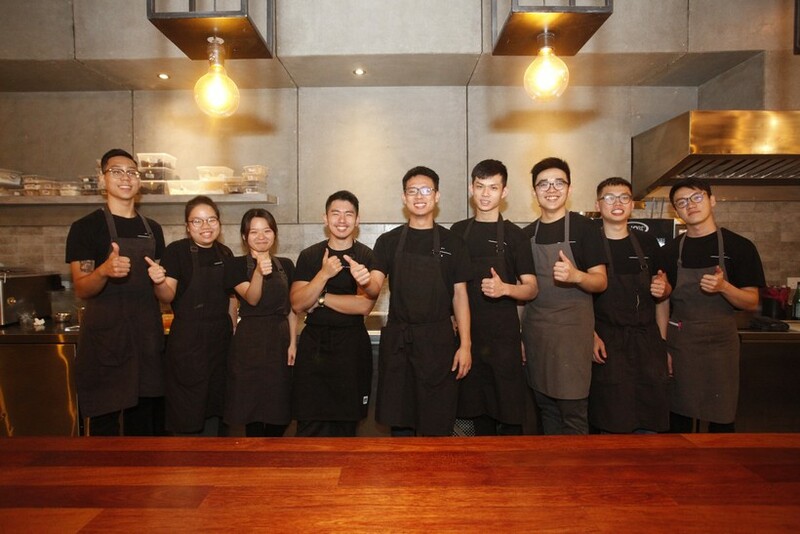 Before guests departed for the night, numerous speeches were made congratulating the restaurant team for the flawless experience. 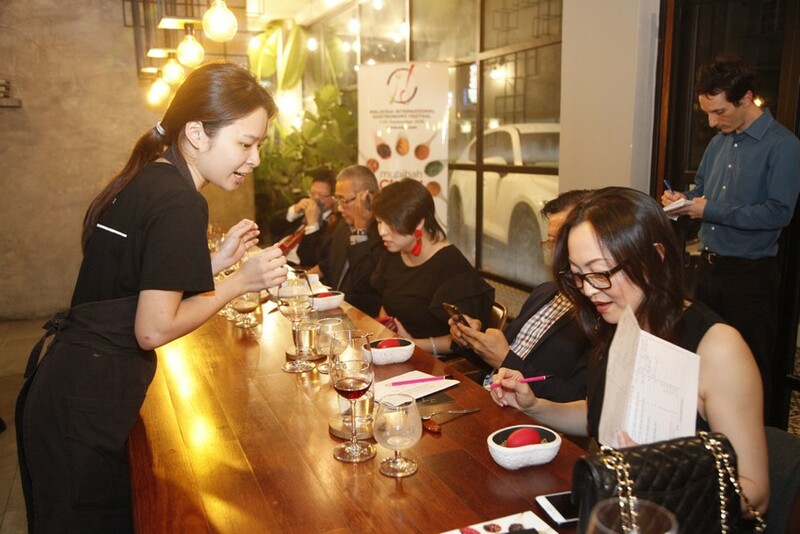 Festival Advisory Committee member Key Soon Yue noted the excellence of the desserts in particular and the subtle use of complementing and contrasting flavours in each of the 12 courses. 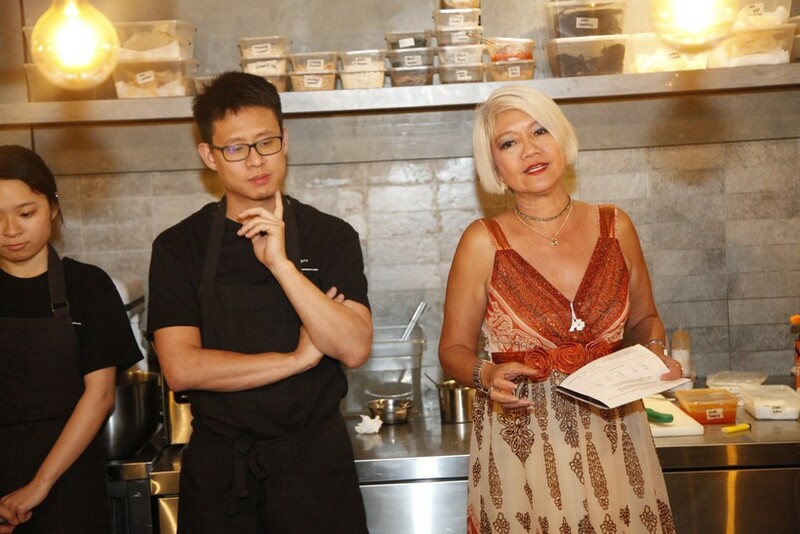 Meanwhile, Ms Ming commented on the ‘muhibah-ness’ of the experience and Johnson’s ability to bring together culinary techniques and ingredients from all over Malaysia and indeed the world – sentiments echoed by the entire group who stood up to applaud and personally thank each member of the team. 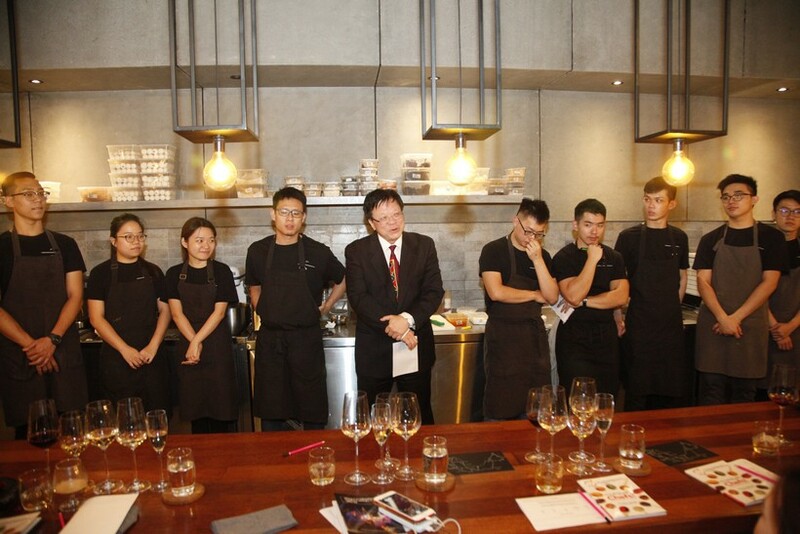 The Full Festival Menu at Gen根costs RM250++ per person without wine and RM390++ per person with wine. A lighter version is available for RM150++ per person without wine and RM250++ per person with wine. 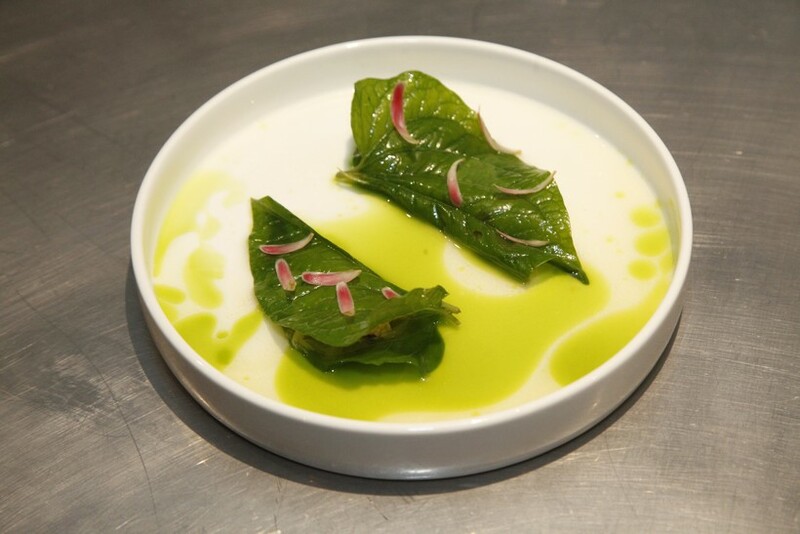 Click here to read more about the restaurant, Chef Johnson and the Festival menu.